If your industry requires your web site to have zaps, bells, and whistles, then that is what eWebAvenue will design for you. If your industry requires your web site to be quiet and simple, then eWebAvenue will design a more simplistic website for you. Perhaps you would like to just test the waters and determine if a web site is right for your business. We would be happy to duplicate your current marketing brochure text and logo and place a simple web site up for you. If you like complex graphics with bright, moving objects, eWebAvenue can design a web site for you. If you like a simple and quiet site, eWebAvenue can design a web design for you. If you like a sophisticated and elegant web site, eWebAvenue can create a web site for you. If you want to place a simple web site up for trial purposes at minimal cost, eWebAvenue can help you. 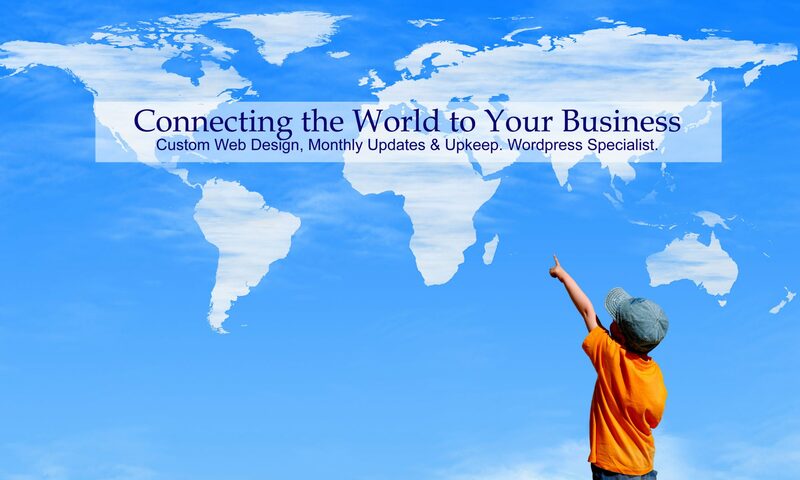 eWebAvenue is experienced with WordPress, Concrete, Godaddy’s Website Builder, and others. eWebAvenue will adapt to YOUR needs! See Pricing Page for details!